The last reservation of this item will conclude on May 10. For rentals that require shipping or a pickup at a non-headquarter location, please select a later date for your arrival. Headquarter offices are the only locations that can accept a same-day reservation, as transit time is not calculated in this date. The last reservation of this item will conclude on March 1. For rentals that require shipping or a pickup at a non-headquarter location, please select a later date for your arrival. Headquarter offices are the only locations that can accept a same-day reservation, as transit time is not calculated in this date. The last reservation of this item will conclude on April 26. For rentals that require shipping or a pickup at a non-headquarter location, please select a later date for your arrival. Headquarter offices are the only locations that can accept a same-day reservation, as transit time is not calculated in this date. The Street Photography Essentials Package (No Body) - Canon includes the lenses necessary to help capture the dynamic scenes and experiences we encounter on an everyday basis. 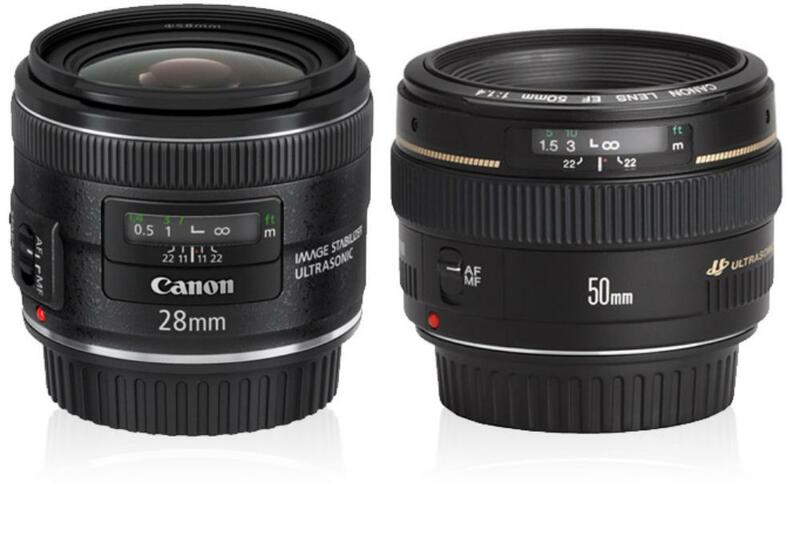 The Canon 50mm boasts a super-wide aperture and a fast, silent, and accurate autofocus motor great for capturing on the move. Also included is the Canon 28mm, a terrific travel lens that gives you great flexibility, useful for everything from streetscapes to interiors. 74° angle of coverage and the ability to focus down to 9" provides for a dramatic, unusual perspective.